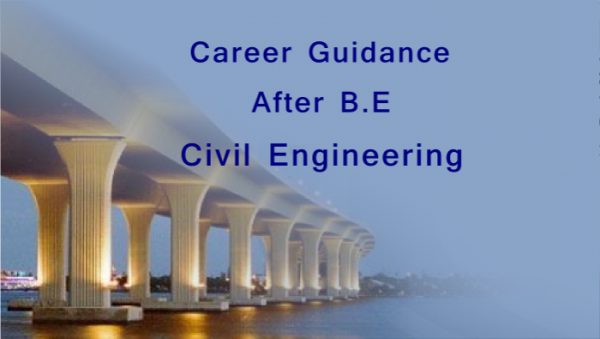 Civil Engineering is one of the oldest branches of engineering. Civil engineers basically design, construct, and maintain infrastructures such as railways, roads, bridges, dams etc. Civil engineers will always be in demand in developing and developed countries. as infrastructures are always needed in such nations. Construction Engineering : This branch deal with planning and construction of infrastructures. The construction engineers work in tandem with site development, transportation, structural, environmental engineers to create stable, long lasting infrastructures. The construction engineers are in charge of the field work or site supervision. They undertake not just engineering activities but also managerial duties. Tentative Fresher Salary : According to Payscale they get as much as 4 lakhs per year. Structural Engineering : Structural Engineers undertake the responsibility designing and analysing structures. The responsibilities of structural engineers are immense, since it is they who ensure that the infrastructures – railways, roads, bridge are safe and secure and will be able to withstand, vagaries of weather and time. and must be able to sustain in spite of climatic changes and disasters. They must ensure that the infrastructures adhere to the country’s safety regulations. Tentative Fresher Salary: Payscale reports that freshers can earn upto 5 lakhs per year. Who will Hire You : Graduates can work for public sector and also work for private sector companies like BPC India, Keller India etc. Surveying : These engineers survey and level the land – to map and contour the terrain. They execute various responsibilities like locating property lines, bridges, channels, highways, pipelines etc. Who will Hire You : Graduates can look forward to work at IndiaBulls Real Estate, Mitsubishi Heavy Industries Ltd etc. Tentative Fresher Salary : Freshers can earn upto 3 lakhs per annum. Hydraulic Engineers : These engineers are in charge of designing and constructing water structures like dams, canals, banks and other water distribution system. They are also in charge of making sure the water structures are built in accordance to safety measures. Tentative Fresher Salary : Freshers can get upto 4 lakhs per annum. Environmental Engineers : These engineer study, analyse and come up with practical solutions to important environmental problems and disasters. They are in charge of coming up with eco friendly designs, coming up with sewage and waste management systems etc. A subset of this type of engineering are earthquake engineers who analyse seismic forces and predict how structures will react to earthquakes. Who will Hire You : Such engineering graduates can work with firms such as Team Taurus, Doshion Limited etc. Tentative Fresher Salary : Environmental engineering grads can earn upto 4 lakhs per year. Municipal Engineering : These engineers usually work alongside the municipality in planning and management of a locality. Tentative Fresher Salary : Freshers can get up to 3 lakh per annum on metropolitan cities. Material Engineering : These engineers determine the strength of materials used in construction – such as cement, brick and mortar. They work alongside construction engineers on infrastructure building. Tentative Fresher Salary : Material engineering graduates can earn upto 4 lakh INR per year. Geotechnical engineering : These engineers basically measure the strength of the soil and determine if they are able to tolerate the strength of the structures. These engineers will analyse soil, rocks etc and determine their capacity for accommodating infrastructure. MBA is first and foremost a professional course. The MBA can be a highly profitable course, and a gateway for achieving a foothold in your target industry. However MBA is profitable for only those who know how to utilize it . So without any further ado, we are providing some tips on how to make the most of your MBA programme! Read up on Market Trends : Whether it’s the FMCG sector that gets you going, or the BFSI (Banking and Financial services sector) that has motivated you to take up the MBA, – you must be up to date with the latest market trends. Do some basic research on the key players, and the competitors, up and coming companies, what they offer etc. This will set you apart from peers as, most of your peers will be qualified students but you will already be proving yourself as a prospective professional. Brush Up Communication Skills : Unlike the Engineering where you can still concentrate on technical skills and not worry over-much on social skills ( though that’s changing these days) the MBA is a professional programme that requires a huge amount of networking. You will be attending a lot of networking events, industry interfaces and visits where you will be interacting with upcoming entrepreneurs, C suite executives of large firms and other seasoned industry veterans. You will need to make a good impression – as internships and pre placement offers often blossom from these events. So you have to ensure that your communication skills are top notch. 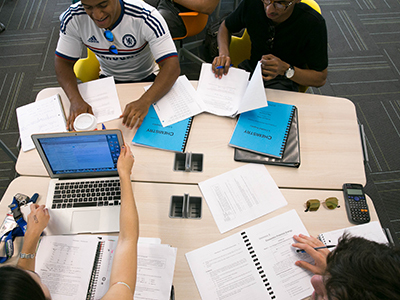 Develop Teamwork Skills ; The MBA prepares you for working in corporate sector. In real life professional world, team projects are inevitable. So during the course of MBA you will be participating in a lot of teamwork and projects. Try to prioritize teamwork and focus on building team leadership skills. Find Mentorship : In order to succeed in profession, finding a mentor is of paramount importance. You can find a mentor amongst the faculty, or you can seek mentorship from experienced professionals that visit the campus during industry interfaces. Mentorship, is something you should actively seek. A good mentor can be your friend, philosopher, and guide in you early days in the profession. They can prevent you to commit some serious gaffes many novices commit at the beginning of their career. Mentors can also provide you opportunities for breaking in a particular industry via recommendations. So finding a good mentor is of the utmost importance. Lets face it, we all make mistakes. As the phrase goes ‘’To err is human.’’ And if you are a green graduate, oven fresh from grad school, just on the verge of beginning your career, then committing a few mistakes, some embarrassing gaffes here and there is inevitable. No one expects a green fresher to be impeccable at his job. But there are some mistakes you should avoid, if you don’t want to ruin your career. If you are a fresh, green engineering graduate, looking forward to embark on an exciting and challenging career in engineering, then this essay is for you. Today we will illustrate some important common mistakes that most engineers end up committing and how you can avoid them. Starting Projects Impulsively : Many engineers impulsively begin their projects, without consulting other engineers , marketing department and market research dept. Don’t do that. Don’t just limit yourself to the atypical technical mental set up. Technology is not the be all and end all of a product. If you create a product randomly without paying proper heed to client needs and market requirements the project/product will be essentially useless. Copy & Pasting Blindly : This mistake is committed by many young engineers . They blindly copy paste from earlier projects. Try not to do it too often. First of all, copy and paste reputation is one which you should avoid at all costs. Copy and pasting track record can be a red flag in your resume – firstly, it won’t go undetected for long. Too many similar looking projects will look fishy to your manager. Secondly copy pasting screams lack of innovation. An engineer is expected to be innovative at the very least. Lack of Cross Cultural Ethic : This problem mainly occurs in the IT sector. Software engineers are often required to interact with foreign clients. Before interacting with such clients a basic knowledge of the etiquette of the country of the client. For example if you are interacting with a Japanese client, not addressing him/her as ‘’San’’ will come across as incredibly offensive. Not paying attention to technical fundamentals : Neglecting technical basics like Design Pattern, Object Modelling, SQL injection etc can make a very bad impression. Not Testing Your Code : You are not God. Therefore, your code is not free from errors. The sooner you learn this, the better. Many young engineers carried away by arrogance, neglect to test their code once they complete coding. Later its costs them their reputation and in some cases even their job. Also don’t neglect to ask for code review or feedback. You won’t appear less of a person for that. Neglecting to analyse domains : Before programming, always conduct a checkup for the domain, and the users who frequent there. Otherwise you risk creating a useless programme. Engineers that keep in mind the question of user experience stands out from their peers who focus just on software development. Neglecting to learn about other systems : Many engineers are adamant about focusing on their own systems and neglecting other systems. 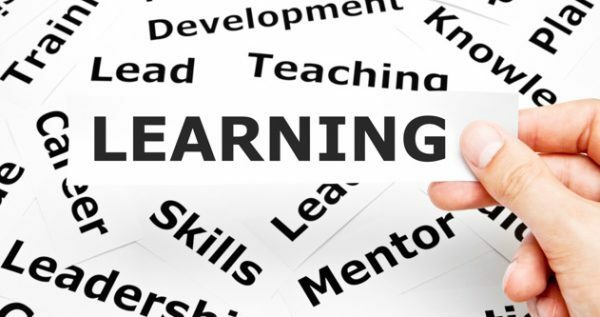 But learning about different systems can be beneficial, as when a system error occurs you will be able to solve it, and gain the attention of your manager. Problem solving aptitude is one of the prerequisites for promotion of an engineer. 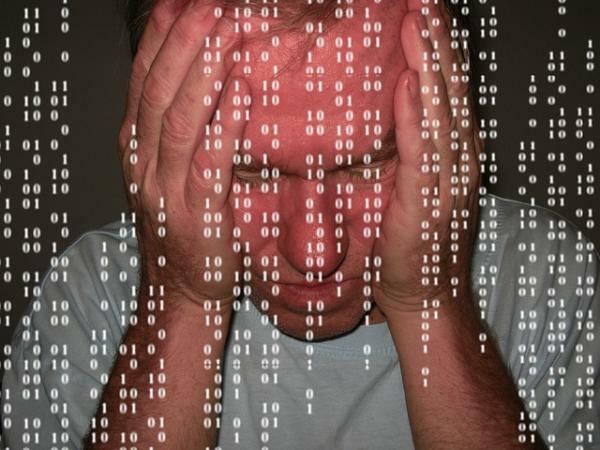 Failing to take backup : Many engineers who lack foresight, fail to take backup, snapshots and remove all System.out.print. This will lead to a lot of needless woe when you need to access the same files once more. Not Documenting : After you finish programming, please don’t forget to document it , otherwise you will greatly inconvenience your colleagues who will need to use or refer to it sometime or later. Not doing so, will make you the subject of lot of resentment. Overusing Stack overflow : As mentioned before, if you cannot develop your own way of programming or writing code, and are heavily dependent on Stack overflow, what makes you stand out from your peers? Nothing. Get a clear knowledge of basic concepts and attempt to come up with your own way of code writing or programming. The less you push yourself, the more you depend on ‘’easy’’ solutions to problems, the less chance you will get promoted. Job Hopping : Many new engineers often hop, skip and jump from one job to another. The reasons they cite vary from ‘’unsatisfactory’’ salary package, to getting ‘’bored’’ with the job, to feeling ‘’too stressed’’ , to falling out with the boss/manager. Our advice to those young engineers planning to quit after a few months on the job is : Develop patience. Rome wasn’t built in a day, and your career will not get built instantly either. Confused how to waddle through the ocean of your engineering syllabus, keep up with the lectures and weekly projects/lab work, network effectively with the faculty, and still rock the semester results? Read on! Most of the professional and vocational education in India have switched to semester system. Earlier there used to be one year end examination held. But the semester system has multiple examination structure, where exams are held on each completed module/unit etc. Though semesters can be somewhat stressful for students , it pays off well as the syllabus get covered fast and the students are introduced to regular, disciplined studying. In this essay we shall cover how to survive engineering semester like a pro! Start Planning : If you fail to plan, you plan to fail. This is particularly applicable when you are facing engineering semesters. Have a fixed goal in mind – focus on some particular set of skills you want to develop as an aspiring engineer and work towards it. Make a separate plan regarding academics . Formulate a study plan which is convenient for you, and stick to it religiously. You don’t rush in a marathon of finishing the syllabus ASAP, but try to learn something everyday. Smart Studying Key to High GPA : Many engineering students complain that they struggle to keep up with the vast engineering syllabus which are full of confusing theories, probabilities, paradigms, formulas etc. We would suggest : Rather than trying to mug all the information up, try to visualize the information, try to find real world/practical examples. maintain a different copy/lodger for formulas. W For Workshops : The best way to learn about engineering is to apply the laws. A good engineer is not just one who knows his theories, but is also proficient in applying those laws to solve real world technical problems. If you are studying in a quality university, chances are that there will be plenty of workshops where you will get a chance to work on live projects. This will not just provide you hands on experience, but also add to your resume – will compensate from lack of working experience that fresh graduates lack. Utilize Online Resources Judiciously : Many quality engineering colleges have rich online resources where students can address their queries and get helped by the faculty or by peers. This gives the students a great opportunity to clear up confusions outside classroom. For ex at our institution. Brainware Engineering College, we have online student’s corner where the student addressed their confusions regarding a chapter and their queries are addressed almost immediately. Group Discussion: This is one of the best way to learn and remember information fast. In group discussion you can discuss questions and answer and clear up confusion with classmates and can also help a peer clear doubts on a particular chapter/question. This way you can effectively revise what you have learnt.